Square Enix has been having some trouble releasing big role-playing games in a timely manner, often announcing them way too early. 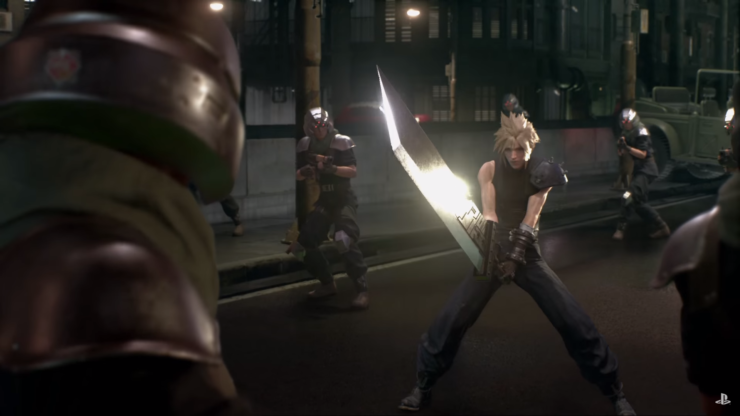 The Final Fantasy VII Remake has been announced three years ago, but we have seen very little of it so far, with rumors saying that development isn’t going all that well. A recent statement by director Tetsuya Nomura seemed to hint that things aren’t going well, but it seems like he has been misunderstood. Speaking at a recent Dissidia Final Fantasy event in Japan, as reported by Siliconera, Tetsuya Nomura clarified that development is going well. When talking about focus, he was talking about marketing, which will focus fully on the Final Fantasy VII Remake after Kingdom Hearts III releases in January. Yes. That is not official. As I said during E3, development is going favorably. I just wanted to say that the current PR priority is Kingdom Hearts 3, as it was during the ARTNIA event the other day, but after that it’ll be Final Fantasy VIII Remake, so please don’t worry. Development may be proceeding fine, but we still know very little about the Final Fantasy VII Remake. A recent job listing suggested that the game will be an action title, so things may have changed quite a bit since the PSX 2015 gameplay reveal.